Methodist College offers the Second-Degree Accelerated BSN degree, an online and weekend program* for those who have earned a bachelor's degree in a field other than nursing and wish to become a registered nurse. Weekend classroom and clinical experiences are held on the Methodist College campus and at local healthcare facilities in Peoria, Illinois. Upon completion of this degree, graduates are eligible to take the NCLEX-RN exam to be licensed as registered nurses. The only one of its type in the greater Peoria area, this program requires five consecutive semesters, including summer sessions. The program blends online learning with required classroom and clinical experiences held on weekends on the Methodist College campus and at local healthcare facilities in Peoria, Illinois, which allows busy, working adult students flexibility in their schedules. It is also the only program of its kind that includes an onsite, hands-on internship in Peoria, Illinois, providing the student with real-life learning. Up to 30 students will be admitted each fall and spring semester. The Master of Science in Nursing (MSN) - Prelicensure degree is for individuals with a bachelor's degree in another subject, who want to become registered nurses and earn a Master of Science in Nursing degree for career opportunities or to pursue doctoral studies. Students in the MSN-Prelicensure will take the 21 credits of foundation course work and the required curriculum to be prepared to sit for the licensure exam to become a registered nurse. Learn about the admission requirements for the Bachelor of Science in Nursing - Second Degree. 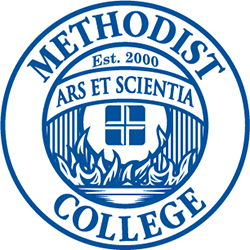 Visit Methodist College Information Sessions. Examine the course descriptions for this program. Read frequently asked questions about this program. For more information, please call 309-672-5513.